Around 35.5 million people in America strive for food every day; among them 13 million are children. This food drive is one of the efficient ways to help those needy people in their locality or town who are in need of help. 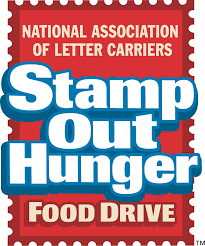 The Stamp Out Hunger Food Drive is a non-profitable initiative launched by the National Association of Letter Carriers. The purpose of this initiative is to make large donations of food to organizations those who are serving needy people. When Does this Drive Happen? Stamp Out Hunger Food Drive is a largest one-day food drive that happens in 10000 cities on second Saturday in May. It is usually held in May because several food banks face a reduction in contribution from the holiday season. All citizens need to place a bag, box, or can of non-perishable food next to the mailbox before their letter carrier delivers the mail on every second Saturday in May. The letter carrier will take care of the remaining task. The contributed food is taken back to a post office, separated based on categories and then delivered to a food bank or food pantry. From there it will reach the needy members or families. How does Stamp Out Hunger Food Drive happen? On this day, all the letter carriers deliver the mail by walking and driving. As they travel along their postal routes, they also collect the food from their postal customers who take part in NALC Stamp Out Hunger National Food Drive. Letter Carriers collect all the non-perishable food donations from their valuable customers. They also collect the donations left in post offices by mailboxes. After collecting all the donations, they deliver them to the local food banks, community, food pantries and shelters. Who Contributes or Sponsor the Drive? Around 1,500 local NALC branches in all over the states, the District of Columbia, Guam, Puerto Rico, and the Virgin Islands participate in the food drive. The drive also depends on the contribution of National Rural Letter Carriers Association, the United Way of America and its local United Ways, the Feeding America food bank network, Uncle Bob’s Self Storage, the AFL-CIO Community Services network, and other local sponsors. What are items that can be donated as part of the drive? The Stamp Out Hunger Food Drive will take the contribution of nonperishable foods in unbreakable containers. Some of the items include cereals, cereal bars, dry milk, baby formula, canned vegetables, canned fruit, canned meats and fish, canned soups, boxed or canned juices, peanut butter, pasta or boxed pasta, boxed instant food, boxed rice and dried beans. What are the accomplishments of the Stamp Out Hunger Food Drive? The Food Drive has received several accolades in the past years which include two Presidential Certificates of Achievement. In the past two years, the food drive has achieved delivery of more than one billion pounds of contributions to food community, food banks, and pantries. Previous Article What is National Dog Bite Prevention Week? Next Article How does the United States Postal Service (USPS) Recycle?